Drinking Water Fountains. We are Australia wide suppliers of drinking water fountains, for building sites, mining sites, Gyms, factories, schools, universities, hospitals. Our drinking water fountains are made by AQUA COOLER, Australia’s largest manufacturer of drinking water coolers. Because of their reliability and affordability, our drinking water fountains are seen all over Australia. Our Drinking Water Fountains come with a 5 year warranty. We also supply a large range Drinking Water Coolers for homes and offices. no more buying bottled water. An inexpensive filtration system which allows you to enjoy filtered water with the convenience of a bottle water cooler. Designed to suit any Aqua Cooler Bottle Water Cooler, this new Tri-Stage Filter Bottle is the smart way to have clean, pure, filtered drinking water. The Tri-Stage filter is composed of an activate carbon block, corallite and a ceramic dome, each stage contains natural sediments and minerals uniquely designed to reduce impurities in the water including chlorine, odour, rust, microbes. RECOMMEDED WATER FILTER FOR OUR MAINS CONNECTED WATER COOLERS: The ELF-Series of Water Filters have a capacity of up to 20,000 gallons and flow rates of up to 2.0 gal/minutes. This makes them ideal for use with our mains connected water coolers. Replacement of filter cartridge is fast and easy. The filter body is quickly detached from the head with the twist of a wrist, no tool required. 1 micron carbon block filter, lead removal carbon blocks and polyphosphate carbon blocks for equipment protection from calcification associated with hard water. Service life of filter cartridge is 12 months, depending on mains water quality. UV Systems for drinking water coolers – to prevent Bacteria Bio Film growth. Without an active disinfection system, water cooler reservoirs and water pipes are subject to bio film growth. Such bio films act like a breeding place for bacteria, protected by the gel-like substance. Bacteria contamination, regardless of whether it is harmless, is not a contaminant to be associated with drinking water. To avoid bio film growth our UV Water Treatment Systems for water coolers are the ideal solution. Robust Heavy Duty Under Trough (or remote) Water Chiller Delivers 26 litres of chilled water per hour Extremely versatile product with a huge variety of applications. Ideal for schools, universities, mining camps or where a large volume of water is required Simple to install in just about every application. The Aqua Cooler UT1 is the newest in our range and is been designed for a multitude of applications such as wall mounted under a drinking trough or inside a utility room with cold water being piped to the trough. This water cooler is suitable for connection to up to a series of four bubblers mounted on a drinking trough. Water Reservoir: The UT1 has an insulated 3 litre tank which is constructed of hard drawn, seamless copper which is tin plated for safety. The chilling capacity is 25lph during peak periods. Water Connections: For ease of connection to mains water supply the UT1 uses quick connect fittings. Water In – 10mm; Water Out – 10mm; Drain – 1/4”. To ensure optimal operating water pressure we have installed a pressure reduction valve inside the unit. Packed Weight and Dimensions: 35kgs 65cm long x 35cm wide x 35cm tall. Warranty: Twelve month comprehensive, and an additional four years on the refrigeration system. Another Australian Made quality water cooler, built to be very versatile in its application. Robust Heavy Duty Under Trough (or remote) Water Chiller Extremely versatile product with a huge variety of applications Suitable to be connected to a series of up to six bubblers Our PT30 is ideal for schools, universities, mining camps and construction sites where large volumes of cold water is needed at the one time. This unit delivers 90 litres of chilled water per hour and the storage tank holds 135 litres. Simple to install in just about every application. Another affordable and reliable Australian Made product. Water Coolers from APT Aqua Pure are reliable and affordable and Australian made! Australian made Drinking Water Coolers, reliable and affordable. Our Bottled Water Coolers are modern and free standing. Water Coolers designed to suit the home, office, factory, building and construction sites, and school, where Bottled Water is required. All models of our water coolers are fitted with an air filter and dust seal assembly. 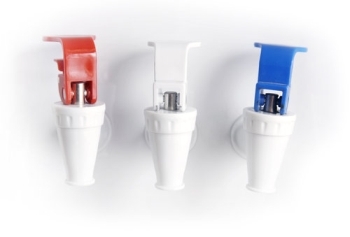 Our point-of-use Water Coolers are mains connected not requiring a drain, they are available in different styles- modern round and bench top models. These Water Coolers are designed to suit homes, offices, factories, and schools, or just about anywhere near a cold water mains. Mains Connected Water Coolers can be supplied with our Water Filters which are capable of delivering cooled filtered water even to large numbers of users. Where floor space is not available, our Under Bench Water Coolers can be installed out of sight usually under the kitchen bench. Three different sizes are available for home and office applications, all of which can be connected to one of our filters. Chilled water will be supplied through a slimline tap installed at the sink. The M Series of water coolers are our most popular mains connected drinking water Fountain, they are hard-wearing and sturdy. Our Water Bubblers and Drinking Water Fountains can be found in schools, construction sites, hospitals, factories, mining sites and many other environments where a drinking water outlet is required. Available in low (10 Litres per hr), medium (19 Litres Per Hr) and heavy-duty (26 litres per hr) capacities, these water coolers are available with a choice of drinking outlets; units with only a drinking bubbler and units with both a bubbler and glass filler. Options such as water filters and stainless steel versions are available. The PT30 is a central storage unit. It’s robust construction makes this water cooler ideal for schools, universities or the mining industry. With a 135L tank capacity and performance to provide 90 litres of chilled water per hour. Aqua Cooler wall mounted water cooler combines high performance with industrial strength and durability. Wall mounted water bubblers are ideal for mines, factories, warehouses, hospitals, universities, schools, etc. Wall mounted water cooler allow floor space to be kept clear. This unit is available in colourbond and stainless steel. Drinking Water Fountains from APT Aqua Pure are reliable and affordable and Australian made! With a fast delivery system, we are able to supply Drinking Water Fountains across NSW, ACT, QLD, SA, WA, NT, including: Sydney, Newcastle, Gosford, Wollongong, Campbelltown, Camden, Canberra, Brisbane, Mackay, Townsville, Cairns, Townsville, Darwin, Melbourne, Hobart Tasmania, Adelaide, Perth, Rural Australia and the South Pacific region. APT AQUA PURE TECHNOLOGIES – TELEPHONE: 02 4257 5656 | Powered by Mantra & WordPress.